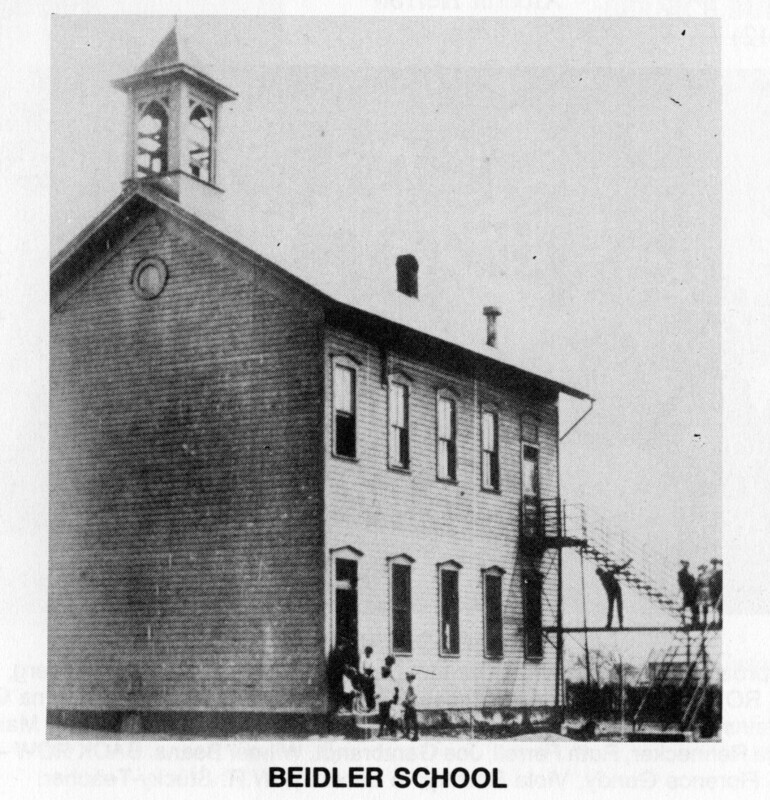 This photo was taken in 1908, at the Beidler School. The only identification we have is of Mary King, who is 6th from the right in the back row. King was the teacher there. The photo was sent to me (Cindy Krocker Davis) in 2004, from Phil King, who was a nephew of Mary’s. He also had a story to tell about his aunt. Mary rode to Goshen by train each day but the engineer would not let her ride in the back with the miners so she always rode in the engine. 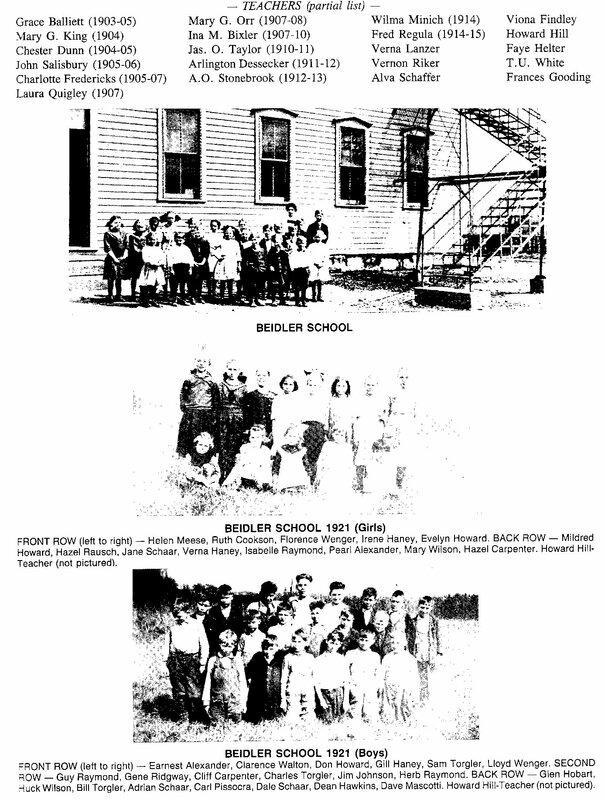 Phil noted that at the time of her death in 1940, Mary was a principal at Front St. School, in New Philadelphia.